... in one of my favourite text fabrics - The Wordsmith, by Janet Clare, for Moda. It matches the makeup bag I made this time last year - both presents for the same person. Once again I've used an old shirt of mine for the lining - a beautiful linen. Having been through the wash many times, the linen is lovely and soft. For the purposes of taking photos, it doesn't hold its shape as well as the quilting cottons. In reality, however, it makes for a lovely lining. You can just see the divider between the bottles of nail polish. The darker version of the same Wordsmith fabric. As part of the same present, I made a grocery bag from the darker fabric, but forgot to take photos - blog fail, as it looks really good! The recipient said she's going to use the larger bag for putting her clothes in when she goes to the gym. 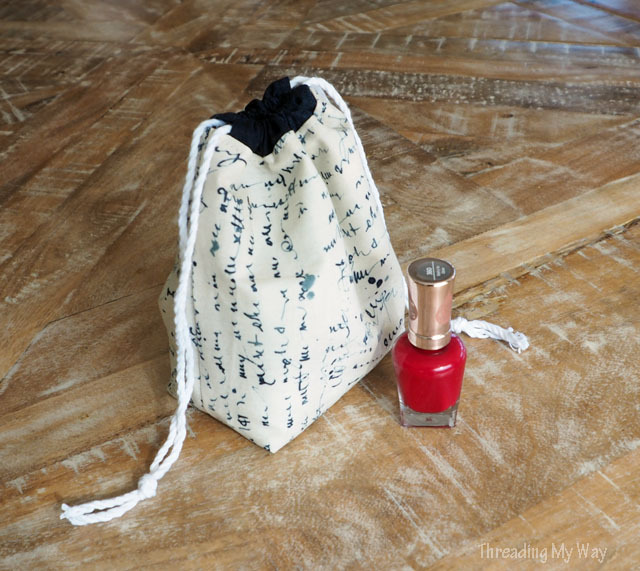 Of course, you're not limited to only putting nail polish in this little gift bag. Susan, from Super Mom No Cape! 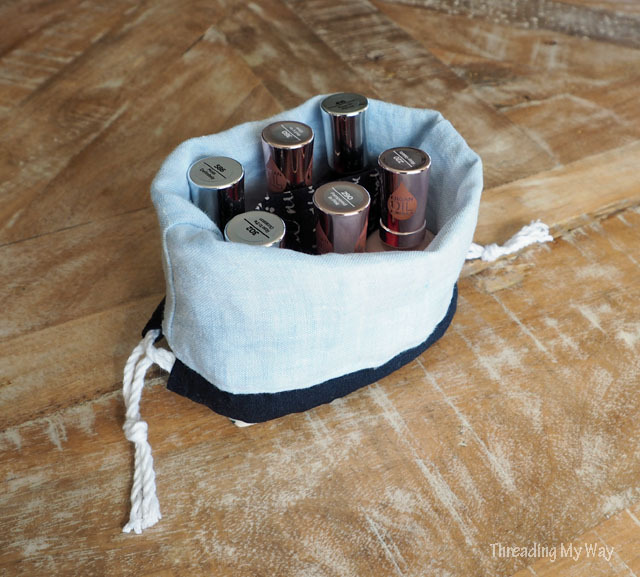 has already made two bags, and she has several suggestions as to what could be added to a drawstring bag with a divider. 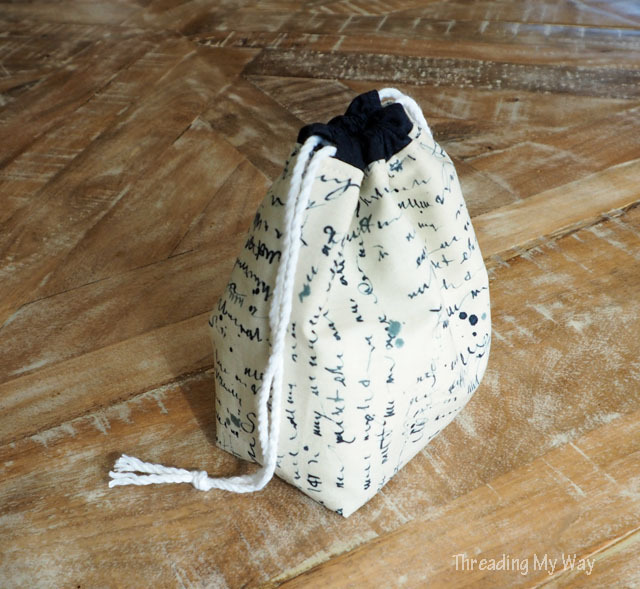 If you'd like to make your own drawstring gift bag, complete with divider, check out the tutorial. It's proving to be very popular. Another great bag Pam, I do like that fabric too I can see why it is one of your favourites. I am committed to making some drawstring bags for gym clothes before school starts. I like this cute little bag! Very nice!